The time was the early 1980's. The nation had a new president and an air of optimism. For us, it too was a time of great excitement and unlimited opportunities. Not only were we at one of this country's best schools, but we were free to explore who we were outside of our parent's domain. Rebelliously, we did what our parents had encouraged us to do all our lives through Chinese school or kung fu lessons; we decided to learn more about our roots. Asian-American born of Chinese ancestry, we were the cultural equivalent of todays X generation-caught between the organization that taught us that Egg Foo Young is not Chinese, that having Chow Mein with rice at dinner was a no-no, that being Chinese doesn't necessarily mean you have to be smart. A group of five people came together to discuss their desire to form a group for Chinese Americans. The five were Keith Lee, Myrna Ling, Rena Lum, Katherine Shintaku, and Valerie Soe. The founders of ACA were interested in meeting people like themselves-Chinese Americans, who wanted to participate in more cultural and educational activities. 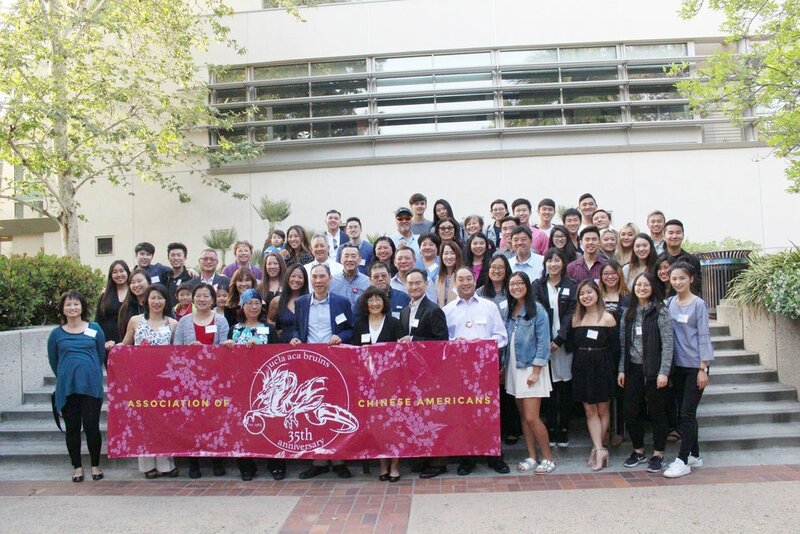 Officially founded in 1982, the Association of Chinese Americans (ACA) is one of the largest student-run organizations on the UCLA campus today, with well over 500 members each year. We are a student group involved in cultural, social, community, and political projects, which benefit its members, campus, and community. Our programs are primarily geared toward the unique multi-cultural identity of Chinese Americans striving to understand their heritage, history, and experiences. Through our events and presence on campus, we hope to provide students with a place to connect with each other, educate and raise awareness about Chinese American biculturality, and strengthen our community beyond UCLA. We welcome UCLA undergrads, grad students, and alumni. We have informative and thought-provoking bi-quarterly general meetings and weekly fun-filled events. Join today and become a part of the ACA network!